Celery (Apium graveolens), a marshland plant in the family Apiaceae, has been cultivated as a vegetable since antiquity. Celery has a long hairy stalk. Depending on location and cultivar, either its stalks, leaves, or hypocotyl are eaten and used in cooking. Celery leaves are pinnate to bipinnate with rhombic leaflets 3–6 cm (1.2–2.4 in) long and 2–4 cm broad. The flowers are creamy-white, 2–3 mm in diameter, and are produced in dense compound umbels. The seeds are broad ovoid to globose, 1.5–2 mm long and wide. Modern cultivars have been selected for solid petioles, leaf stalks. 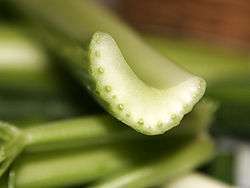 A celery stalk readily separates into "strings" which are bundles of angular collenchyma cells exterior to the vascular bundles. First attested in English in 1664, the word "celery" derives from the French céleri, in turn from Italian seleri, the plural of selero, which comes from Late Latin selinon, the latinisation of the Greek σέλινον (selinon), "celery". The earliest attested form of the word is the Mycenaean Greek se-ri-no, written in Linear B syllabic script. Wild celery, Apium graveolens var. graveolens, grows to 1 m (3.3 ft) tall. In Europe, another popular variety is celeriac (also known, incorrectly, as celery root), Apium graveolens var. rapaceum, grown because its hypocotyl forms a large bulb, white on the inside. The bulb could be kept for months in winter and mostly serves as a main ingredient in soup. It can also be ground up and used in salads. The leaves are used as seasoning; the small, fibrous stalks find only marginal use. Leaf celery or Chinese celery, Apium graveolens var. secalinum, is a cultivar from East Asia. Harvesting occurs when the average size of celery in a field is marketable; due to extremely uniform crop growth, fields are harvested only once. The petioles and leaves are removed and harvested; celery is packed by size and quality (determined by colour, shape, straightness and thickness of petiole, stalk and midrib length and absence of disease, cracks, splits, insect damage and rot). Under optimal conditions, celery can be stored for up to seven weeks between 0 to 2 °C (32 to 36 °F). Inner stalks may continue growing if kept at temperatures above 0 °C (32 °F). Freshly cut petioles of celery are prone to decay, which can be prevented or reduced through the use of sharp blades during processing, gentle handling, and proper sanitation. Bergapten in the seeds can increase photosensitivity, so the use of essential oil externally in bright sunshine should be avoided. 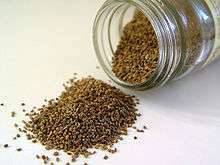 The oil and large doses of seeds should be avoided during pregnancy, as they can act as a uterine stimulant. Seeds intended for cultivation are not suitable for eating as they are often treated with fungicides. Celery is used in weight-loss diets, where it provides low-calorie dietary fibre bulk. Celery is often incorrectly thought to be a "negative-calorie food," the digestion of which burns more calories than the body can obtain. In fact, eating celery provides positive net calories, with digestion consuming only a small proportion of the calories taken in. Polyynes can be found in Apiaceae vegetables like celery, and their extracts show cytotoxic activities. 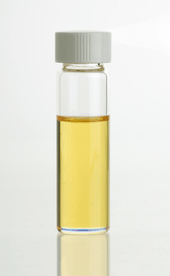 Some aromatic compounds of celery leaves and stalks are reported as butylphthalide and Sedanolide. Celery's late arrival in the English kitchen is an end-product of the long tradition of seed selection needed to reduce the sap's bitterness and increase its sugars. By 1699, John Evelyn could recommend it in his Acetaria. A Discourse of Sallets: "Sellery, apium Italicum, (and of the Petroseline Family) was formerly a stranger with us (nor very long since in Italy) is an hot and more generous sort of Macedonian Persley or Smallage...and for its high and grateful Taste is ever plac'd in the middle of the Grand Sallet, at our Great Men's tables, and Praetors feasts, as the Grace of the whole Board". Celery makes a minor appearance in colonial American gardens; its culinary limitations are reflected in the observation by the author of A Treatise on Gardening, by a Citizen of Virginia that it is "one of the species of parsley." Its first extended treatment in print was in Bernard M'Mahon's American Gardener's Calendar (1806). After the mid-19th century, continued selections for refined crisp texture and taste brought celery to American tables, where it was served in celery vases to be salted and eaten raw. A chthonian symbol among the ancient Greeks, celery was said to have sprouted from the blood of Kadmilos, father of the Cabeiri, chthonian divinities celebrated in Samothrace, Lemnos, and Thebes. The spicy odour and dark leaf colour encouraged this association with the cult of death. In classical Greece, celery leaves were used as garlands for the dead, and the wreaths of the winners at the Isthmian Games were first made of celery before being replaced by crowns made of pine. According to Pliny the Elder in Achaea, the garland worn by the winners of the sacred Nemean Games was also made of celery. The Ancient Greek colony of Selinous (Greek: Σελινοῦς, Selinous), on Sicily, was named after wild parsley that grew abundantly there; Selinountian coins depicted a parsley leaf as the symbol of the city. ↑ "Taxon: Apium graveolens". U.S. National Plant Germplasm System. Germplasm Resources Information Network (GRIN), Agricultural Research Service (ARS), US Department of Agriculture (USDA). Retrieved March 31, 2016. 1 2 de Vilmorin, Roger L. (1950). "Pascal celery and its origin". Journal of the New York Botanical Garden. 51 (602): 39–41. ↑ Peterson, R.L. ; Peterson, C.A. ; Melville, L.H. (2008). Teaching Plant Anatomy Through Creative Laboratory Exercises. NRC Press. ISBN 9780660197982. ↑ Lewis, Charlton T.; Short, Charles (eds.). "selinon". A Latin Dictionary. Perseus Digital Library, Tufts University. ↑ Liddell, Henry George; Scott, Robert (eds.). "σέλινον". A Greek-English Lexicon. Perseus Digital Library, Tufts University. ↑ (Latin) Linnaeus, C (1753). Species Plantarum: Tomus I. Holmiae. (Laurentii Salvii). ↑ William Robinson and W. P. Thomson, The Vegetable Garden (3rd ed., 1920), p. 227. ↑ Watson, Molly. "All About Celery Root (Celeriac)". localfoods.about.com. Retrieved 29 April 2014. ↑ "eat celery root". eattheseasons.com. 2010. Retrieved 29 April 2014. ↑ Schuchert, Wolfgang. 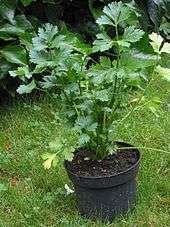 "Celeriac (Apium graveolens L. var. rapaceum)". Crop Exhibition. Max Planck Institute for Plant Breeding Research. Retrieved 28 January 2012. ↑ "Smallage". Practically Edible: The World's Biggest Food Encyclopedia. Retrieved 2009-05-03. ↑ Cantwell, M; Suslow, T. (2002-06-10). "Celery: Recommendations for Maintaining Postharvest Quality". Post-harvest technology research and information center. Retrieved 2008-03-04. ↑ Sui, H.X. ; Yu, Q.; Zhi, Y.; Geng, G.; Xu, H.B. (2011). "Effects of apigenin on the expression of anglotensin-converting enzyme 2 in kidney in spontaneously hypertensive rats.". Journal of Hygene Research. 39 (6): 693–696. ↑ Somanadhan, B.; et al. (May 1999). "An ethnopharmacological survey for potential angiotensin converting enzyme inhibitors from Indian medicinal plants.". Journal of Ethnopharmacology. 65 (2): 103–112. doi:10.1016/s0378-8741(98)00201-3. PMID 10465650. ↑ Simpson, D. (1998). "Buchu—South Africa's amazing herbal remedy". Scottish Medical Journal. 43 (43): 189–191. PMID 9924759. ↑ Nestle, M.; Nesheim, M.C. (2012). Why Calories Count: From Science to Politics. University of California Press. p. 189. ISBN 9780520262881. Retrieved 2014-10-05. ↑ Celestin, J; Heiner, DC (1993). "Food-induced anaphylaxis". The Western journal of medicine. 158 (6): 610–1. PMC 1311786 . PMID 8337856. ↑ Bublin, M.; Radauer, C; Wilson, IB; Kraft, D; Scheiner, O; Breiteneder, H; Hoffmann-Sommergruber, K (2003). "Cross-reactive N-glycans of Api g 5, a high molecular weight glycoprotein allergen from celery, are required for immunoglobulin E binding and activation of effector cells from allergic patients". The FASEB Journal. 17 (12): 1697–9. doi:10.1096/fj.02-0872fje. PMID 12958180. ↑ "Food labelling and packaging in international trade". General labelling standards for the UK and EU. ↑ Zidorn, Christian; Jöhrer, Karin; Ganzera, Markus; Schubert, Birthe; Sigmund, Elisabeth Maria; Mader, Judith; Greil, Richard; Ellmerer, Ernst P.; Stuppner, Hermann (2005). 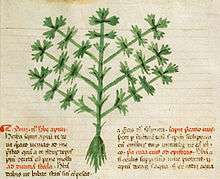 "Polyacetylenes from the Apiaceae Vegetables Carrot, Celery, Fennel, Parsley, and Parsnip and Their Cytotoxic Activities". Journal of Agricultural and Food Chemistry. 53 (7): 2518–23. doi:10.1021/jf048041s. PMID 15796588. ↑ D. Zohary and M. Hopf, Domestication of Plants in the Old World, (3rd ed. 2000) p.202. 1 2 Megaloudi, Fragiska (2005). "Wild and Cultivated Vegetables, Herbs and Spices in Greek Antiquity (900 B.C. to 400 B.C.)". Environmental Archaeology. 10 (1): 73–82. doi:10.1179/146141005790083858. ↑ Evelyn, J. (2005) . Acetaria: A Discourse of Sallets. B. Tooke; The Women's Auxiliary of Brooklyn Botanic Garden; Project Gutenberg. ↑ Quoted in Ann Leighton, American Gardens in the Eighteenth Century, 1976, p. 199. ↑ David Shields, "American Heritage Vegetables"
↑ Pliny, Natural History XIX.46. El-Shinnawy, Nashwa (1 February 2013). "The therapeutic applications of celery oil seed extract on the plasticizer di(2-ethylhexyl) phthalate toxicity" (PDF). Toxicology and Industrial Health. 31 (4): 355–366. doi:10.1177/0748233713475515. Retrieved 30 April 2015. "Celery". Encyclopædia Britannica. 5 (11th ed.). 1911.